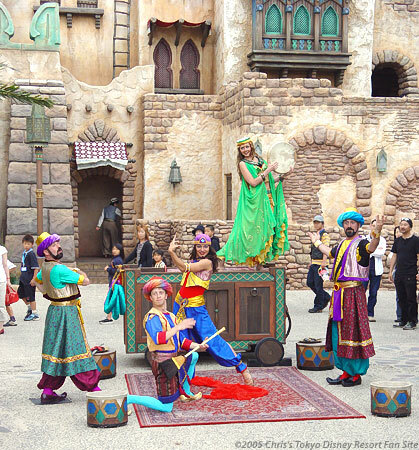 This is a traveling group of performers that set up shop on the streets of Arabian Coast. Each player brings his or her unique talents to the show, and are are absolutely wonderful. Beautiful belly dancers, comedians, acrobats, all in colorful costumes... what more can you ask for? If you're strolling through Arabian Coast and you see a big crowd gathering, head in their direction and enjoy a top-quality variety show the likes of which you probably won't see anywhere else.